So long, Cito. And thanks. Today is Cito Gason’s last home game as Blue Jays manager. I don’t really have a lot to say here, but I wanted to acknowledge what Mr. Gaston has done for the Blue Jays. He was the hitting instructor in the mid-80’s, when the Jays went to the post-season for the first time. He became the manager in 1989, and the Jays returned to the playoffs. They won the AL East three more times, and of course won the World Series in 1992 and 1993. 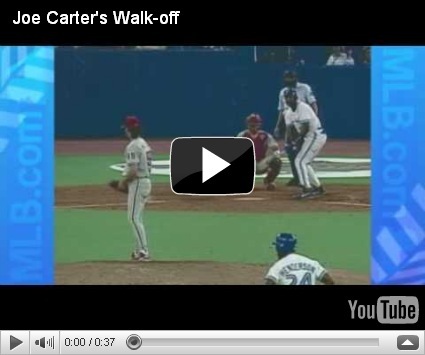 If the 1994 season hadn’t been cut short, who knows what might have happened (Jays vs. Expos in the World Series? It wasn’t out of the realm of possibilities…) Gaston helped to take a team that was on the way up and bring them all the way to the top. This entry was posted in Baseball, Sports on September 29, 2010 by Graeme.